See The Trailer for Netflix's Season 3 of "STRANGER THINGS"
Today Netflix released a trailer for season 3 of "Stranger Things," and puberty is in full effect as the gang of kids tiptoe into adolescence and shopping malls. "One summer can change everything. 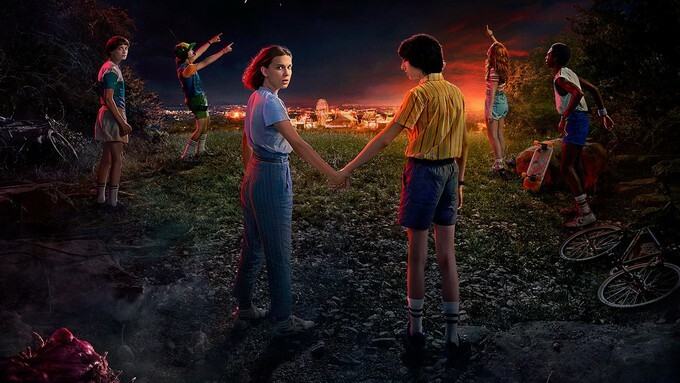 Watch the official trailer for Stranger Things 3. Premiering July 4. Only on Netflix." Here is the trailer enjoy. Where will the gang go? What horrors await our favorite little clan of misfits in Hawkins, Indiana? Only the omnipotent Netflix knows, and they are keeping their lips sealed for now. So we will all have to wait until July 4th to see Eleven's multiple nose bleeds and super-powered teenage tantrums!